The par-five 15th on The O’Meara at Carton House. 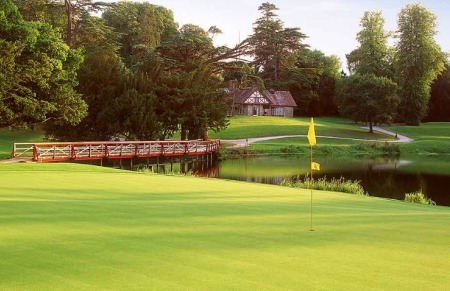 The O’Meara at Carton House could trump the better-know Montgomerie layout and host next season’s Irish Open. Planning permission has been requested to revise the layout of the Mark O’Meara signature course and create two new finishing holes that would set up a stern finish nearer the 18th century mansion house. If permission is granted, European Golf Design would begin work on the new routing almost immediately, leaving the European Tour with the option of staging the event on the tree-lined O’Meara track rather than returning to the “inland links” style Montgomerie course, which hosted the event in 2005 and 2006. The new-look O’Meara would feature two new par-four holes that would become the new 17th and 18th. The first could become a par-three with the current par-three fourth and the existing par-four 18th eliminated. The O’Meara, considered a less exactly challenge than its sister course from the members’ tees, proved to be more than tough enough for some of the best amateurs in Europe when it hosted the 2005 Irish Amateur Open. 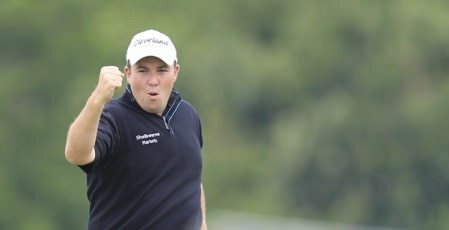 Scotland’s Richie Ramsay won the title by two shots from Darren Crowe on five under par as Rory McIlroy came home in sixth place on two over just a couple of days after his 16th birthday. If the O’Meara improvements go ahead, the event will have the option of operating both entrances to the estate and creating an atmospheric finish near the mansion house. The stretch of holes along the River Rye - the current 14th, 15th and 16th - would make for spectacular television pictures as well as challenging golf while the addition of two, muscular par-fours to finish would only add to the test. Plans to improve the course have been in the pipeline for some time, as Jeremy Slessor explained on the European Golf Design website following a visit to Carton House last November. We were there to talk about revising the course layout to take advantage of some changes to the original planning restrictions which means we can now provide a much more logical and attractive link between the golf course and the clubhouse. 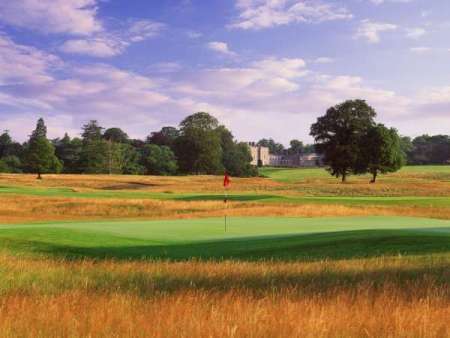 Carton House is willing to throw its hat in the ring and host the 2012 Irish Open on its Montgomerie Course for the third time. Miguel Angel Jiménez in action on the Mongtomerie Course at Carton House. It appears that Rory McIlroy will get his chance for revenge on the Montgomerie Course at Carton House in next June’s Irish Open. The par-three 15th on the O’Meara Course at Carton House.The European Tour is toying with the idea of staging a special qualifier for this year’s Irish Open at Carton House. Shane Lowry holes a birdie putt on Sunday. Picture: Thos Caffrey / www.golffile.ieThe big post-mortem will take place in the coming days but if were up to Shane Lowry, the 2014 Irish Open will be played on the stunning O’Meara Course at Carton House.